Halloween. Out in their numbers were everything from pumpkins to potions, grim reapers to gravestones and ghouls to gluttony. But this year's day seemed a little more special. Not in festivities, but in sports. While many will find themselves indulging in masses of candy, a lot of us will be indulging ourselves in the sporting action that has unfolded on the final day of October. For some, it was a day to forget, the trick. On the other side of the coin were moments to last a lifetime, the treat. So on a day of contrasted fortunes across sport, who was dealt a trick? And who cherished the treat? We'll find out as we break down Saturday's action. An already ugly season grew all the more petrifying as Chelsea were blown away by Liverpool at Stamford Bridge on the day's early Premier League kick-off. Jose Mourinho watched his nightmare unfold as the Reds came from a goal behind to win 3-1 and make an earth-shattering statement. "I have nothing to say," a bewildered Mourinho told BT Sport. A post-match interview that lasted just 55 seconds summed up the occasion. The Portugese manager was as shocked as the world at the outcome. Adding to the intrigue, Mourinho then gathered his backroom staff for a meeting on the middle of the pitch. While he was adamant that this wasn't his last game, time surely could be winding down at this rate. His reputation can only protect him for so long. Chelsea were just unable to display any of their title-winning credentials. They would eventually be outplayed and now far more questions are going to be asked of the Blues. What once was a fortress in Stamford Bridge is now beginning to crumble. It was a horror show. Liverpool fans certainly got their Halloween treats early on Saturday. Having struggled in the past against the Blues, especially at Stamford Bridge, the performance they orchestrated can only bring bigger and better things in an ever-brightening horizon under Jürgen's Klopp leadership. Brendan Rodgers will be proud, because they showed great character—seriously—to come back from a goal behind when Ramires' strong header wounded them early. Philipe Coutinho is returning to form as are the Reds entire outfit with their confidence, with two cracking goals while Christian Benteke will hope to really push on from the result. It's just what Klopp needed, too. Even if Chelsea were in dire straits before their meeting at Stamford Bridge, it remained a huge game for Liverpool. There's no better way to find your Premier League win than away at the reigning champions, going from a goal down to dominating. Onwards and upwards, it seems. Another big event taking place in the English capital was the biggest game in rugby, the World Cup final. Just like the cricket earlier in the year, Australia and New Zealand had ripped through all other challenges to set up a collision in the grand final. But this time round, the Wallabies finished up empty. Ultimately, Michael Cheika's men would only give the All Blacks a second-half scare. After tying the game at three apiece with Bernard Foley's penalty, they would never really come close to getting their hands on the sport's biggest prize. While they can certainly be proud of their second-half rally which saw them come unbelievably close, there close neighbours were just too good and managed to run away with the World Championship. New Zealand made history as they became the first ever team to win back-to-back Rugby World Cup. That's more than a "treat" for the All-Blacks. It's undisputed that they are one of the best teams to have ever been assembled. If their dominance of the game at this point in time was ever under question, that scrutiny has been firmly ditched to one side—or like Halloween costumes at the end of the day, shoved to the back of the closet, not needed for a year or so, and it shall take quite a horrific year for New Zealand to requestion their credibility. Even if it took some 38 minutes for the first try, New Zealand kept their foot on the gas throughout the entire game. When Australia tried to materialise a fight back, they threw sand over the fire—or keeping in theme here, they put out the Jack-o'-lantern—to keep well on track for successive World Cup wins. Ma'a Nonu, Carter, Smith, among others got their perfect swansong. New Zealand stand atop of the world, and it looks like there's no stopping them. Houston Rockets have hardly taken flight to start an all-new NBA season. Following a very faulty defeat to the Denver Nuggets, they had a Halloween-eve hosting of the champions, and were blown away. Golden State would go on to take a 20-point victory but that was only the start of the horror for Kevin McHale's club who lost their cool progressively over the evening. In other NBA action, LeBron James haunted the ghosts of his past, in Dwyane Wade and Chris Bosh as the Cleveland Cavaliers overcame the Miami Heat. It doesn't take an expert to realise that Nico Rosberg isn't exactly pleased with the fact that his Mercedes' teammate Lewis Hamilton clinched the World Championship to make it back-to-back wins last weekend in Texas. Whether it was the cap toss or the general sense of displeasure from the German, Mexico provided an opportunity for him to get something back on his teammate, and he took it. 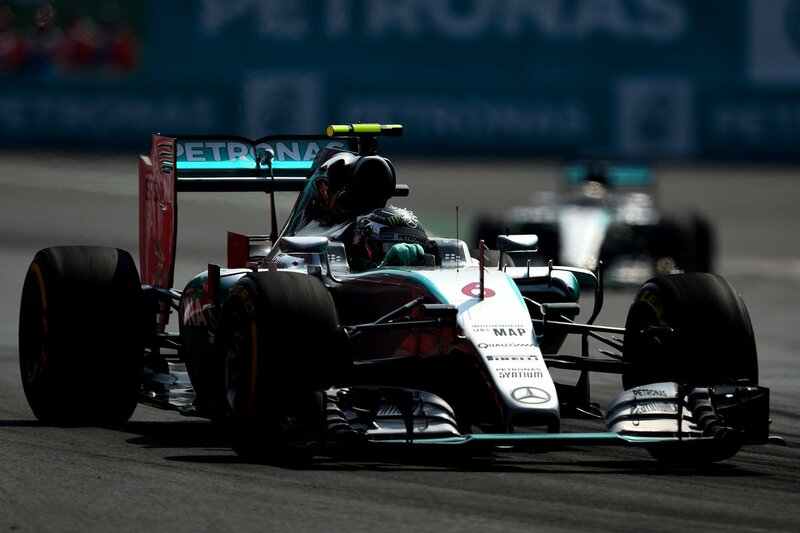 Having taken pole position on the day of Halloween, Rosberg kept in front after the first turn to go on and drive flawlessly for the win in Mexico City. New York Mets received a new meaning to trick in Halloween context at least. In the week, they lost at the Kansas City Royals back-to-back in the World Series; but a strong Friday night showing hinted that they were back in it. When that momentum continued in the early stages of Game 4 at CitiField, many would argue that the Big Apple's resident baseball team was on course to tie the series, but when all was said and done, they were standing one more defeat away from losing the World Series. An error from Daniel Murphy gave the Royals the opening as they now stand on the brink of becoming MLB World Champions. College football fans witnessed one of the most extraordinary plays in the history of the game on Halloween night. College football will profit. Pakistan were bowled out for 234 runs as England made a flying start to their crucial, must-win third test with great performances by Anderson and Broad. Misbah ul-Haq provided the only defiance with 71 runs as Pakistan were brushed aside in quite convincing fashion. And finally, the greatest treat of all was for us sports fans. Another weekend to remember!